The traditional Korean restaurants are called 한식집[hansikjib]. When you order a menu at a 한식집[hansikjib], you will often find 반찬[banchan] which is a cold side dish. 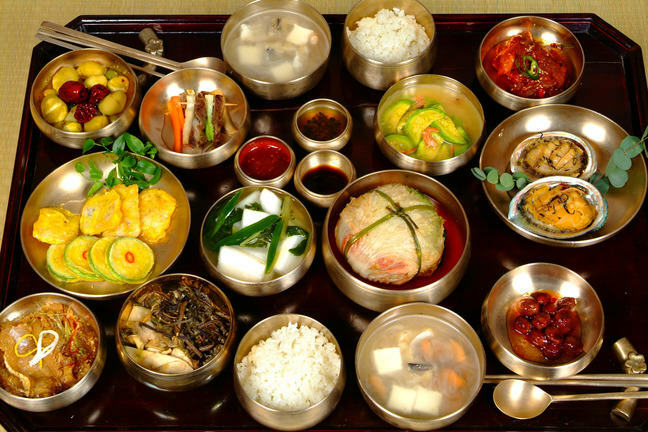 반찬[banchan] includes various types of small dishes that people enjoy with rice. While each person gets their own bowl of rice, we usually put 반찬[banchan] in the middle and share with others. These side dishes are complimentary, and you can even ask waiters/waitresses for more if you’d like. How often do you eat rice? What do you eat it with?